Government of the Northwest Territories - Implementation of a territory wide Laboratory Information System (LIS) to replace the existing systems. City of Philadelphia - Water Department, Bureau of Laboratory Services - assist the City of Philadelphia Water Department, Bureau of Laboratory Services (“BLS”) in replacing its 14-year-old laboratory information management system (“LIMS”). 04/21/2010 - Webinar: What Happened to Phase II of my LIMS Implementation? A Complimentary Webinar that highlights simple, yet highly effective steps for undertaking Phase II of your LIMS Implementation project and how to avoid pitfalls. 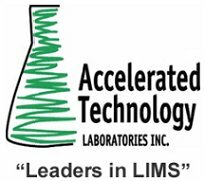 On April 20th and 22nd, Labtronics Inc. presents a complimentary webcast that will show how an effective CDS/LIMS interface provides extra levels of automation and ease of use that really deliver on the promise of using CDS/LIMS integration to improve laboratory performance. The following article covers the topic of security standards that laboratories should be aware of when considering SaaS based LIMS or other Laboratory Informatics solutions on an either an externally hosted basis or internally hosted basis. The HITECH security guidelines could apply whether you have your systems internal or hosted external to your company. Agilent Technologies Inc. today introduced a dynamic and user-friendly genomics Web site, genomics.agilent.com. The Web site is a one-stop resource for all things genomics. Users will find a wealth of well-organized, easy-to-access information to support their work -- from the newest science to the hottest products. The site features an integrated Web store, powerful browsing capabilities, and a dynamic shopping environment. Bio-Rad Laboratories, Inc. , a multinational manufacturer and distributor of life science research and clinical diagnostic products, announced today the release of several new spectral databases and version 8.2 of its award-winning KnowItAll® software. Thermo Fisher Scientific Inc., the world leader in serving science, announced today that it has acquired Proxeon A/S, an innovative supplier of products for proteomics analysis headquartered in Odense, Denmark. The company is recognized for its ability to provide a simplified proteomics workflow, including nanoflow liquid chromatography systems, columns, ion sources, and bioinformatics software, to meet the need for robust high-sensitivity liquid chromatography/mass spectrometry (LC/MS) analysis in complex proteomics applications. Ariadne announces the launch of Pathway Studio Explore for the Affymetrix GeneAtlas™ Personal Microarray System. Ariadne’s Pathway Studio Explore provides a biological context for the analysis of gene expression data to identify biological signal flow, key regulators, and affected pathways. Symyx Technologies, Inc. today announced the release of Symyx Isentris for SharePoint, a collection of Microsoft SharePoint Web parts that improves project team knowledge sharing and collaboration in an information-driven R&D environment. Integrating Symyx Isentris search/browse and data analysis tools with the SharePoint platform gives scientists access to real-time project information and critical decision-support capabilities within the context of a well- known enterprise collaboration portal. IDBS, the leading worldwide provider of research data management and analytics solutions to R&D organizations, today announced that Shire plc, the global specialty biopharmaceutical company, has selected IDBS to support its virtual model for pharmaceutical research.